Nélia Gonçalves was born in Pombal, a small city in Portugal. She started her vocal studies in Conservatório de Música de Coimbra in 2001 and finished them in the class of Joaquina Ly in 2008. In 2011 she graduated as a singing student in Aveiro University, with António Salgado, and worked in chamber music with António Chagas Rosa. That same year she was also awarded with “Prémio Cidade de Aveiro”. She also graduated in Economy at the Universidade de Coimbra. Currently she is studying for her master’s degree in education at Aveiro University. She has regularly participated in singing masterclasses directed by teachers such as Claire Vangelisti, Isabel Alcobia, Susan Waters, António Salgado, Laura Sarti, Brian Gill and Pierre Mak. She has been a soloist in Brahms’ Liebeslieder , Mozart’s Missa Brevis in D minor KV65, Charpentier’s Te Deum, David Pérez’ Missa de Santa Joana, Händel’s Dixit Dominus and Messiah, Lalande’s Laudate Dominum, and Säint Saens’ Oratorio de Noel among others under conductors like Vasco Negreiros, Fernando Miguel Jalôto, António Vassalo Lourenço and Laurence Cummings. In opera, she has participated in Purcell’s Dido and Aeneas, John Blow’s Venus and Adonis and João de Arroyo’s Amor de Perdição. 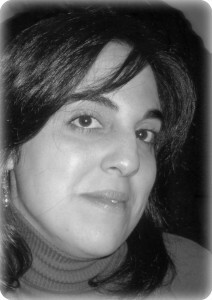 She has been member of many choirs, like the female choir Vox Aetherea (2001-2008) and Ensemble Joanna Música (2008-2009). Currently she is part of Coro da Casa da Música, where she has worked with conductors like Paul Hillier, James Wood, Simon Carrington, Andrew Bizants, Kaspars Putnins, Laurence Cummings, Christoph König, Andrew Parrott, Peter Rundel, Philip Picket and Robin Gritton. As a singing teacher, she works at Conservatório de Música de Ourém/Fátima and at Escola de Música Sacra de Coimbra.